Work, play, party. 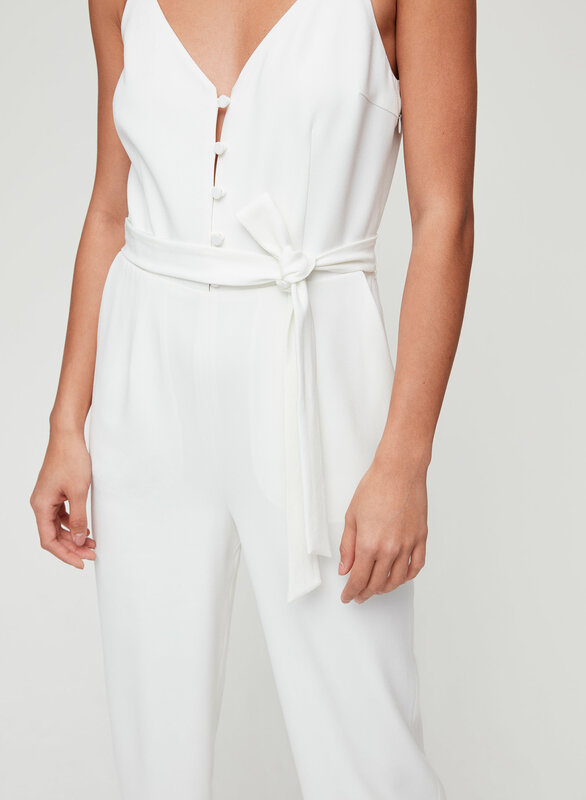 This is a jumpsuit with a V-neck and button closure, self tie belt and tapered leg. It's made with a luxe satin back crepe from Japan. Fits true to size, so comfortable and flattering. 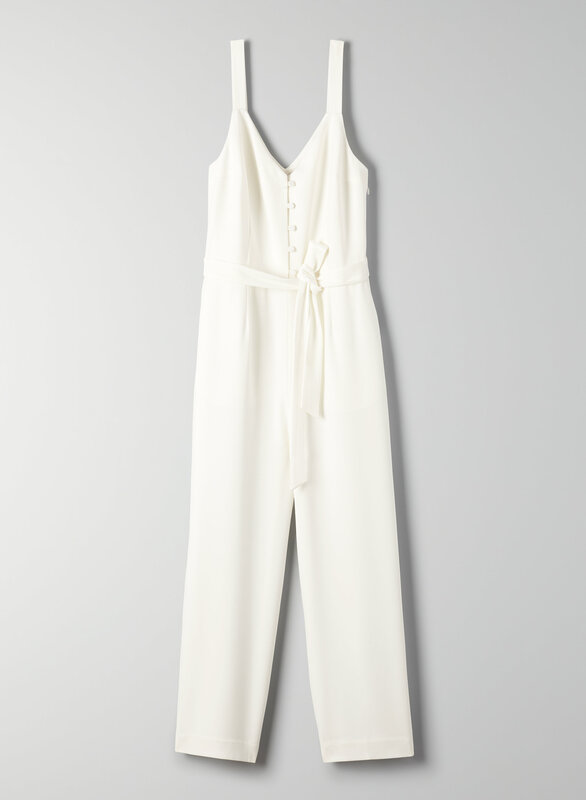 Love this jumpsuit! I'm 5'1 and around 115lbs and I am generally an XS or size 2/4. I found this quite big under the armpits. However - length wise in the torso it was perfect. So, tall girls - this may not work for you if you are longer in the torso. I'm going to exchange for a 0 instead of a 2. Didn't like the material and fit strangely. I had high hopes for this but it was a disappointment. The white was also see-through in the seat. Love this jumpsuit. Fits true to size. Very versitile. I plan to wear it with a long sleeve top in the fall and I find it goes well with heels or flats. The colour is so beautiful and spot on to the website. very flattering and no hemming required. Originally purchased in the brown in 2, but it washed me out, so I traded in for black. I also sized down to a 0, and aside from the straps being slightly long and needing alterations, fits very TTS. This jumpsuit is made with quality material. I purchased it in black and it fit perfectly with a little room. For refrence I’m 5’5” 103lbs.